In a recent interview on the Andrew Marr Show, Jose Manuel Barroso, President of the European Commission, said it would be "extremely difficult, if not impossible" for an independent Scotland to join the European Union. 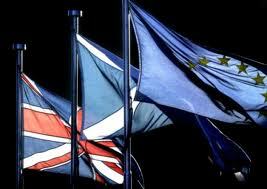 City University London will host a special panel of leading legal experts to debate Scotland's independence and its implications for EU membership. Professor Koutrakos joined The City Law School in January 2013 as Professor of European Law. He is a graduate of the Universities of Athens and London, completed a stage at the European Commission in Brussels and holds a PhD from the University of Birmingham. Panos has taught at the Universities of Bristol (Professor of EU Law: 2006-2012), Durham (Professor of Law: 2004-2006; Lecturer in Law: 1999-2002) and Birmingham (Reader in EU law: 2002-2004). In September 2007, he was awarded a Jean Monnet Chair in EU Law by the European Commission. He has held visiting posts at the Universities of Melbourne (2009, 2013), Sydney (2008, 2010), New South Wales (2013), Iowa (2000, 2002), Michigan (2005), and Antwerp (since 2008). He is the joint editor of the European Law Review. In addition to EU external relations, Panos writes on the law of the single market, with emphasis on the free movement of goods and services. He has also contributed to training programmes for judges and civil servants from central and eastern Europe. Professor Sir David Edward is Professor Emeritus at the School of Law, University of Edinburgh. Awarded KCMG, 2004; CMG, 1981. Admitted Advocate, 1962; QC (Scotland), 1974; Judge of the Court of First Instance, 1989-92; Judge of the Court of Justice of the European Communities, 1992-2004. Please see the Judge David Edward Oral History site at the University of Denver, Sturm College of Law, for further information about Sir David's life and career, including streaming video of biographical interviews. Kenneth Armstrong was elected to the Professorship of European law at the University of Cambridge in September 2013. The Chair was previously held by Sir Alan Dashwood. Before joining the Faculty, Kenneth was Professor of EU law at Queen Mary, University of London. He has also held positions at Keele University and the University of Manchester. He has held visiting positions at Edinburgh University, the European University Institute and at New York University School of Law. He is a Fellow of Sidney Sussex College. Professor Armstrong has written extensively in the field of European Union law and policy, with a particular focus on the evolving governance and institutional structures of the EU. His book Governing Social Inclusion: Europeanization through Policy Coordination was published by Oxford University Press in 2010 and won the 2011 UACES Best Book Prize. He is currently researching the European Union's response to the economic crisis. Alan Dashwood became Professor of Law at City University in January 2012. He was Professor of European Law at the University of Cambridge from 1995 to 2009 and is now Professor Emeritus. He is a Fellow, now Emeritus, of Sidney Sussex College. He is also a Barrister in Henderson Chambers, a Bencher of the Inner Temple and took Silk in 2010. He specialises in the law of the European Union, and appears regularly in proceedings before the Court of Justice of the EU. Before election to his Chair at Cambridge, he was a Director in the Legal Service of the Council of the EU. He was the founding Editor of European Law Review and was one of the Joint Editors of Common Market Law Review until December 2008. He is a co-author of Wyatt and Dashwood's European Union Law, the sixth edition of which appeared in 2011, and contributes frequently to legal periodicals. At the invitation of the FCO, he led a team of Cambridge lawyers in drafting a model EU Constitution, as a contribution to the work of the Convention on the Future of Europe. He was appointed CBE in 2004. Join the ESRC debate on Scotland's Future.